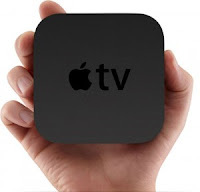 Users experiencing slow movie rental downloads via Apple TV or iTunes should make sure they're not using a centralized domain name service such as Google DNS, which can dramatically slow down media access to Content Delivery Networks. A variety of Apple TV users have reported extremely long download times when trying to rent movies. The problem does not appear to be with Apple's servers, the Akamai Content Delivery Network Apple uses to deliver media downloads efficiently, nor the design of iTunes or Apple TV hardware. Instead, it's often cause by a centralized Domain Name Service, such as Google DNS or OpenDNS, according to a variety of reports. Last December, Google launched Google DNS as a free service intended to give users an alternative to their Internet Service Provider's own DNS servers. At the time, the company touted faster performance and security in using its own DNS, which enables client computers to look up IP addresses of Internet servers from their easier to remember domain name. While Google DNS (and similar services, such as UltraDNS and OpenDNS) may enable users to bypass domain blocking rules and redirects configured by their ISP or their company's IT department, and can also speed network performance in some cases by resolving IP addresses faster, the centralized DNS services can also defeat the distributed nature of DNS itself. Network users are supposed to look up IP addresses from a nearby server, which itself queries and caches answers to name and address lookups from other DNS systems, distributing the workload across the network. CDNs like Akamai, which Apple works with to deliver iTunes downloads, use DNS lookup information to locate where users are, and then optimize content delivery via the nearest available server. When millions of users all tap into the same DNS server addresses to resolve domain names, as Google DNS does by design, Akamai and other CDNs route content to those users along the same path, preventing the network from working optimally. This causes problems not only for Apple's iTunes, but also any other media streaming or download service that uses a similar CDN strategy to distribute downloads. In addition, according to a report by APC, some foreign providers that have dedicated media links to enable efficient, cost effective delivery are bypassed when users configure their systems to use a service like Google DNS, bypassing the user's quota for free downloads. This can result in extra costs for the user, as their otherwise-free media downloads are billed directly because they don't take advantage of local delivery links and instead pull data directly from American servers. Google provides instructions on how to configure its own Google DNS services, which can be used to revert back to the original DNS settings. In many cases, users obtain automatic DNS server assignments from their ISP in the same DHCP process that provides them with their IP addresses. Users with wireless base stations or any devices with statically configured network settings (such as an Apple TV) may need to verify that their network devices are all using the local DNS addresses from their ISP, rather than Google DNS, if slow media downloads are a problem.